First prize awardee Marissa Karpack first became interested in engineering because it allowed her to engage her passions for science and personal interaction to “solve real problems for real people.” During her time in UW CEE, Karpack impressed faculty with her ability to excel in demanding courses, pursued undergraduate research and was involved in a number of student organizations in which she assumed leadership roles. As an undergraduate student, Karpack excelled in demanding courses, such as Fluid Mechanics, which is one of the more technical and mathematically demanding courses in the junior year curriculum. She finished the course in the top 5% of the 120-person class and went on to excel in the Sediment Transport course, finishing close to the top of the class along with several graduate students. Karpack’s involvement in the UW chapter of Engineers Without Borders most recently entailed being the International Projects Director, where she oversaw a project in Guatemala to build a community center, which is the largest project attempted by a student chapter. She traveled to the site twice to work as a project manager, leading a team of 30 students and local volunteers. Since her first week on campus, Karpack has been involved in the Concrete Canoe Team. As the concrete mix design lead last year, she was responsible for the final concrete product, which necessitated independent research and leading a lab-based class of 10 students. She was also one of two presenters representing UW in competition. Karpack also pursued summer research internships in the Applied Physics Lab where she studied the decimation of cold-adapted microorganisms with ultraviolet light. She presented her research findings five times at conferences, symposiums and other events. 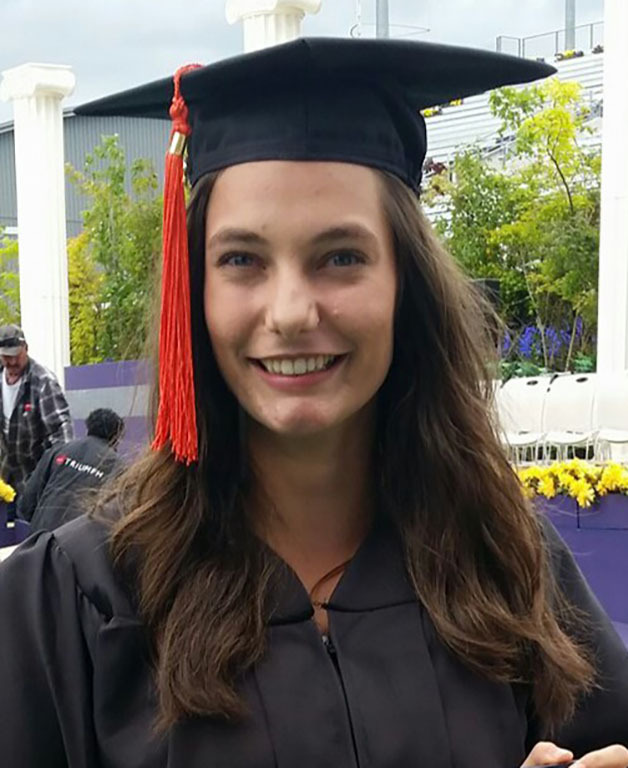 Following graduation, Karpack will be dividing the upcoming year between international travel and continuing an internship at Watershed Science and Engineering. In Fall of 2017, she will be heading back to school to complete her master’s degree in Hydrologic Science and Engineering at Colorado State University in Fort Collins, CO. This entry was posted in Uncategorized on June 22, 2016 by ceenews. Way go Marissa. I’m so proud of you, good luck in the future.